A nice summary review of Beasties by Timothy Brannan on his blog The Other Side (which you absolutely should follow, I use the RSS feed and read it in Feedly like all the other old-school blogs I follow in order to keep up with the great content being generated out there). My favorite quote from the review "It certainly punches above its weight class in terms of monsters and content." It is packed full of content in its only 84 pages. 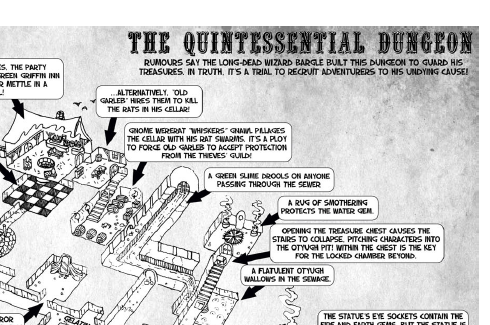 I picked up the new One Page Dungeon Compendium, and as always it is a visual and creative feast. 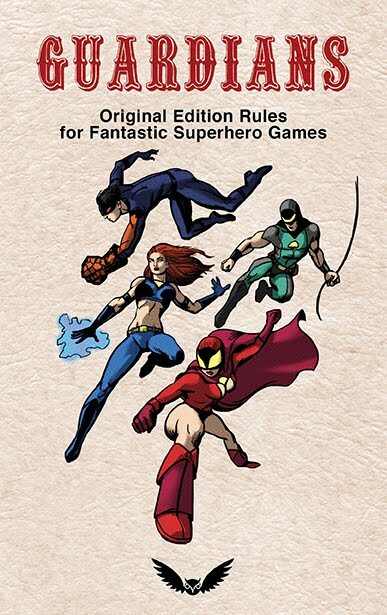 Filled with interesting and creative maps, and chock full of great ideas for adventures and dungeon locales. I couple of my favorites are The Quintessential Dungeon and The Sky-Blind Spire. The Quintessential Dungeon is literally a dungeon filled with all the most overdone tropes and cliches' but all in good fun with a terrific fresh spin on it all. A magic mirror, a bottomless pit, a dragon lair that has no way it could get in or out, yet it all kinda works. It reminds me of the spirit of Tomb of Horrors and White Plume Mountain. The Sky-Blind Spire is a classic wizard's tower. The thing I like the most is how well done the map is, very legible, cool to look at, and several good ideas for rooms and adventuring spaces. A lot is packed into one page. Interestingly the room descriptions are listed in reverse numerical order. The hook, or one-super-cool-idea that makes this adventure stand out is that the entire dungeon is one big spell, but I'll let you find out for yourself what that means. 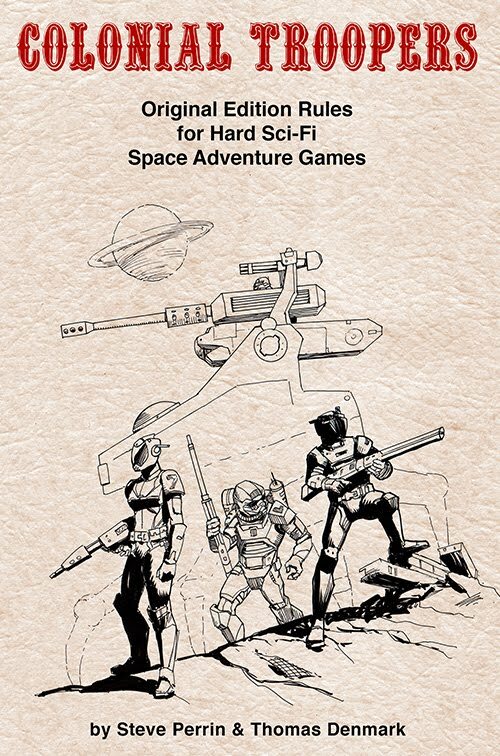 The possibilities for tabletop gaming are endless! Update: I probably shouldn't have just posted this without any context or real commentary. 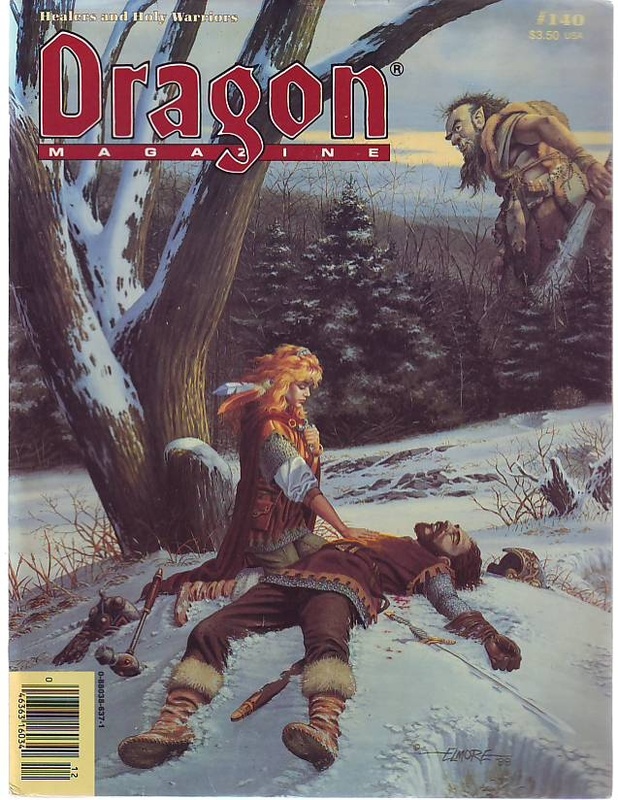 Out of context, or with hindsight, early D&D's shortcomings are fairly easy to see and complain about. But, it was the first of its kind and forging new territory. It was such an innovative idea and full of so much potential no one could have imagined where it would all head. Since then the core ideas of D&D have fueled tabletop games, video games, and even collectable card games owe a great debt. 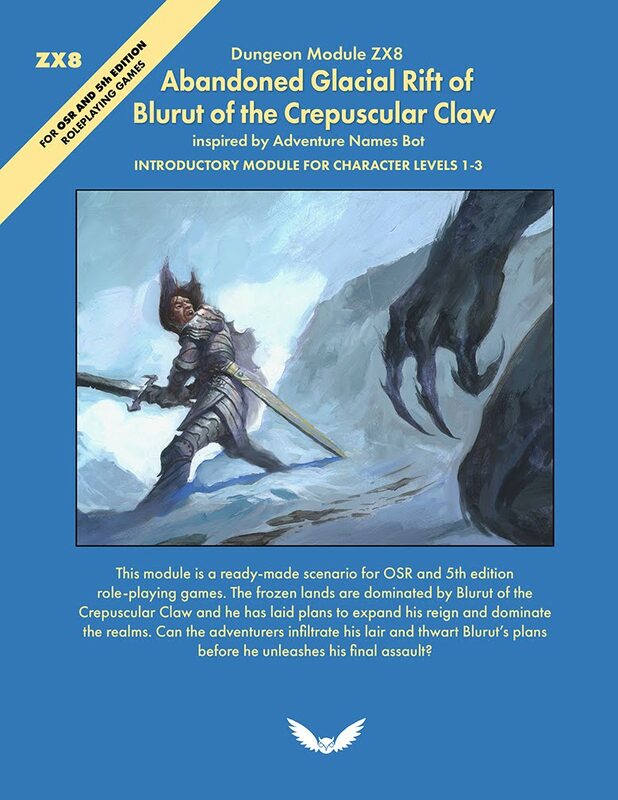 I remember when the ideas of "class" and "level" were starting to seem quaint next to the newer generation of RPG's that had skills and more wide open character creation rules. Well, we've seen where all that has gone. Video games use classes and levels because it is a superior game mechanic. 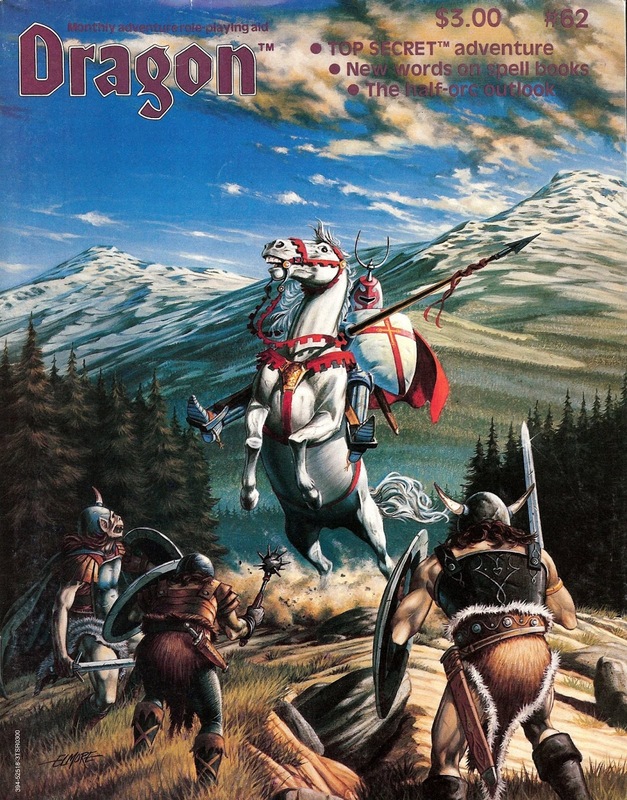 Runequest is a fine game for its day, but in the big picture really hasn't moved the needle much in terms of popular culture the way D&D did and continues to. 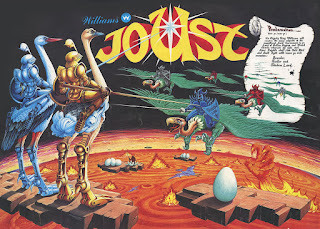 In the early 80's TSR transitioned from using talented amateurs to hiring professional illustrators. 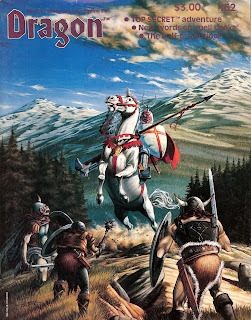 One of the first was Larry Elmore, this marked a huge change in the overall look and feel of D&D products. I can't help but have a fondness for this art since it was when I was in high school and starting to take a serious interest in drawing and painting. 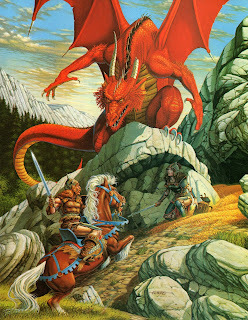 These are some of my favorite illustrations by Larry Elmore. This was the first piece of art by Elmore I had seen. What's not to love? Pig faced orcs! An epic encounter with a cavalier, and a dynamic composition. Ok, maybe those orcs do look a little like people in masks, but I still like this one. And I can't believe I just discovered this while looking up reference for this post. Larry Elmore illustrated the arcade cabinet of one of my favorite video games of all time. I should have recognized his style!